Allotment rule: The property is bought from the owner and the project development is made by SmartHoming GmbH. The project is build in an area where the cost for residential property is lower than in other parts of the city. The area is still very central located and attractive for young people and families. The area is one of the “affordable” areas in the city. Rental/sale cost compared to market price: The project is build in an area where the cost for residential property is lower than in other parts of the city. The rental, also the sales condition are affordable, more than in other parts of the city. 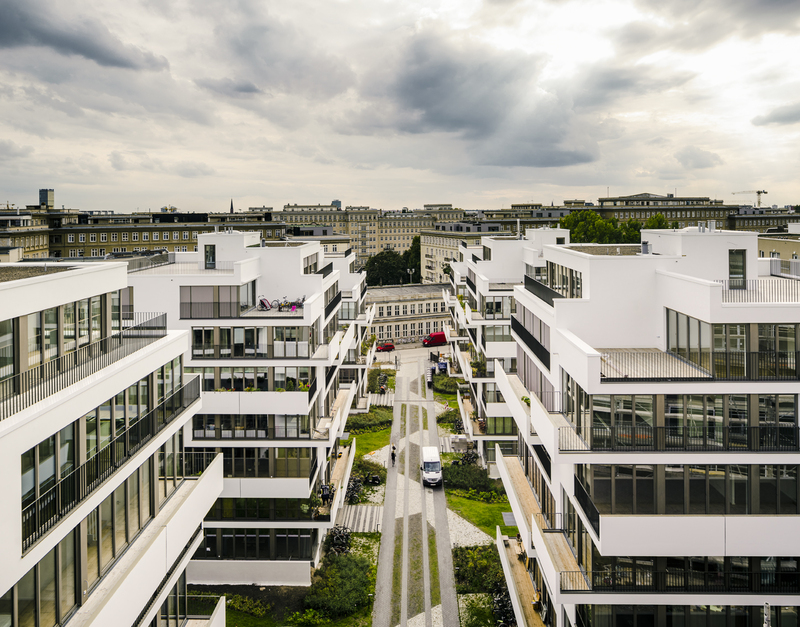 Involvement of inhabitants in the building process: The project is a “Baugruppe” which is quite famous in berlin, Germany. The inhabitants fusionate to a group, they buy the property and become owner of the project. The design is made by zanderrotharchitekten. That means: the architects design the outside shell: volume, architecture, facades. 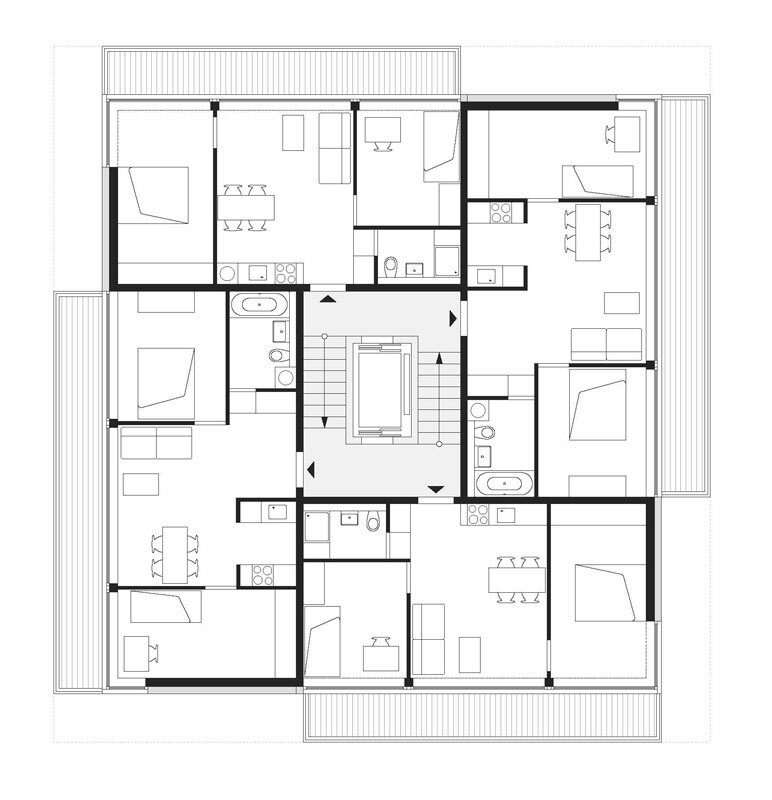 The “Baugruppe” is in charge of the design inside: the decide about the floor plans and the interior design. Functional mixitè: The project includes a big garden in the middle of the city, a big underground perking, also couple of spaces used by all the inhabitants, such as a flat for guests. Common spaces and shared living: There are spaces, as explained above, but they are not open to the public and the city. 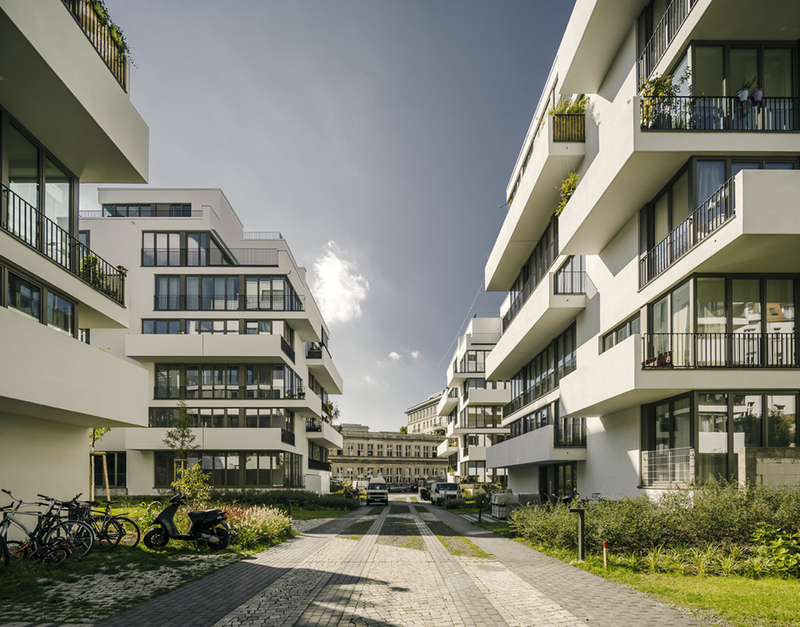 Techniques and strategies for environmental saving: The project belongs to the programm of KfW55 – a program for energy-efficient construction in Berlin, Germany. Zanderroth architects completed one of the biggest joint building venture projects with 144 modular apartments in the center of Berlin.zanderroth architekten recently completed the joint building venture project „li01“—an ensemble of six solitary houses surrounded by 5.000 sqm of park-like landscape—in a very central location in Berlin. The light-fooded buildings are conceived for all generations. 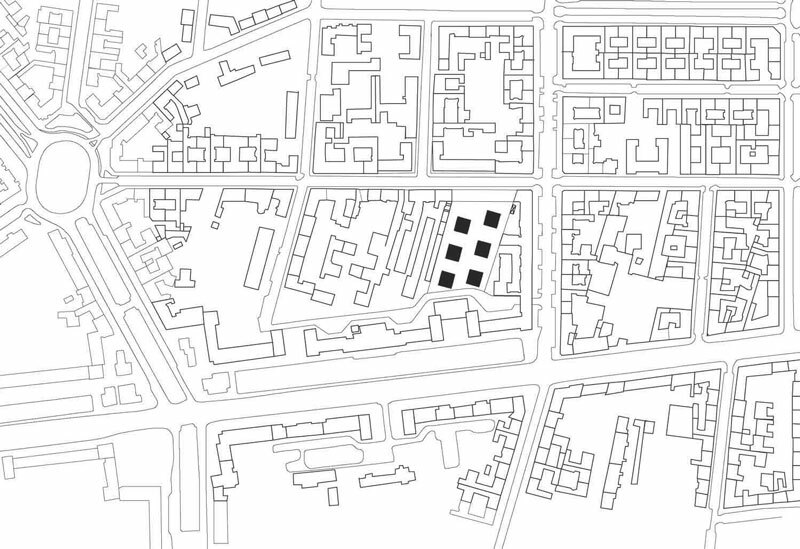 They are very convincingly located and feature highly fexible foor plan arrangements.The ensemble of six solitary houses is situated in the midst of a 5.000 m2 park-like landscape in a very central location, to the north of Frankfurter Allee in the district of Friedrichshain-Kreuzberg. 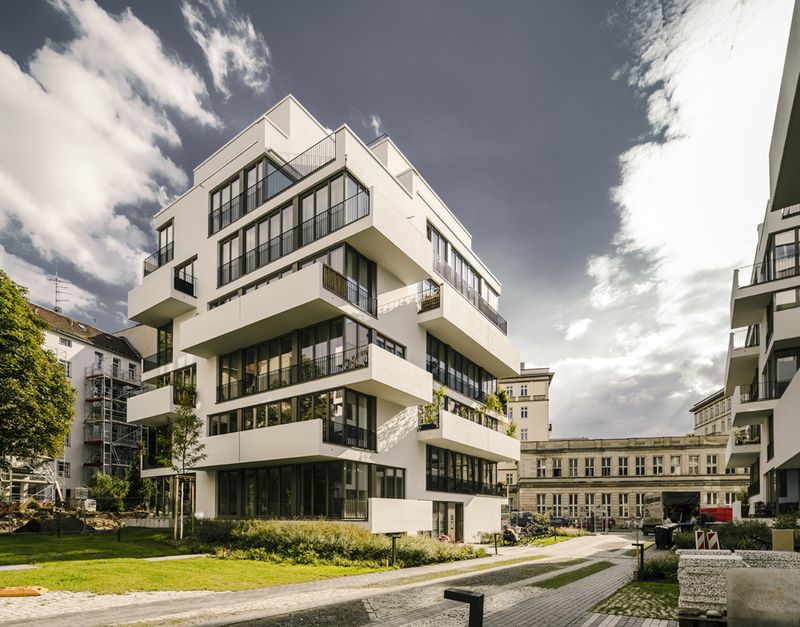 The new “quarter” at Liebigstrasse 1 is quiet and condenses the existing urban structure in a gentle way. The free-standing buildings are positioned at a distance of 15 m from each other and are open in all directions. They beneft from their mutually staggered position, ideal natural lighting and diverse visual references to the green surroundings. The principle of individual residential buildings is applied in the fexible combination of their foor plans. They can be added or divided. The fexible foor plans enable small residential units for singles and couples, as well as – after merging – large units for families. 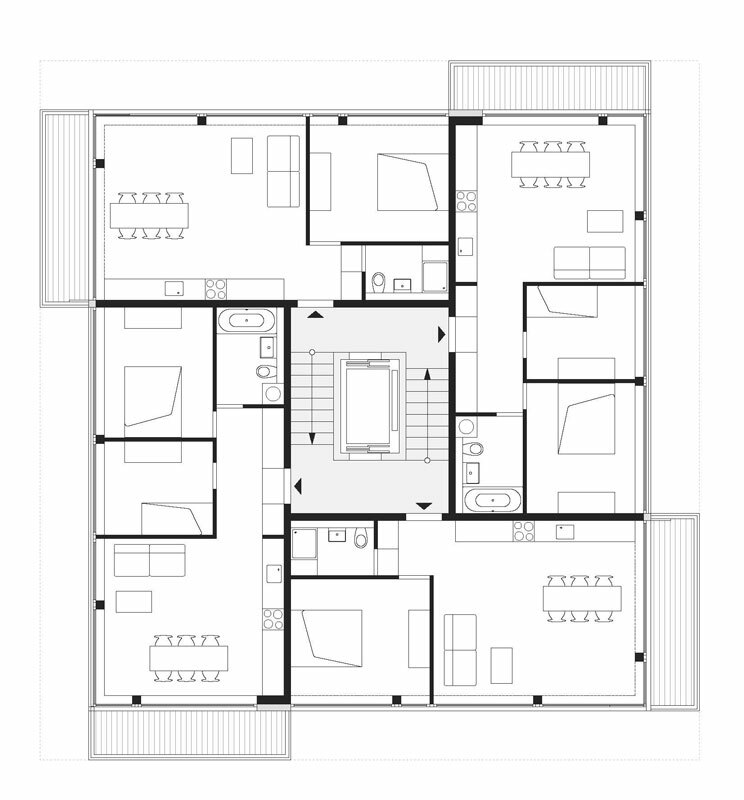 Two apartments with a foor space of 52 m2 and 64 m2 can be individually used or combined to create a large 116 m2 apartment. This follows the principle of a fexible building, since it is not dictated by load-bearing walls and building elements. Demands change depending on diferent stages of life and the foor plans can adapt fexibly to the living conditions and requirements of the people. 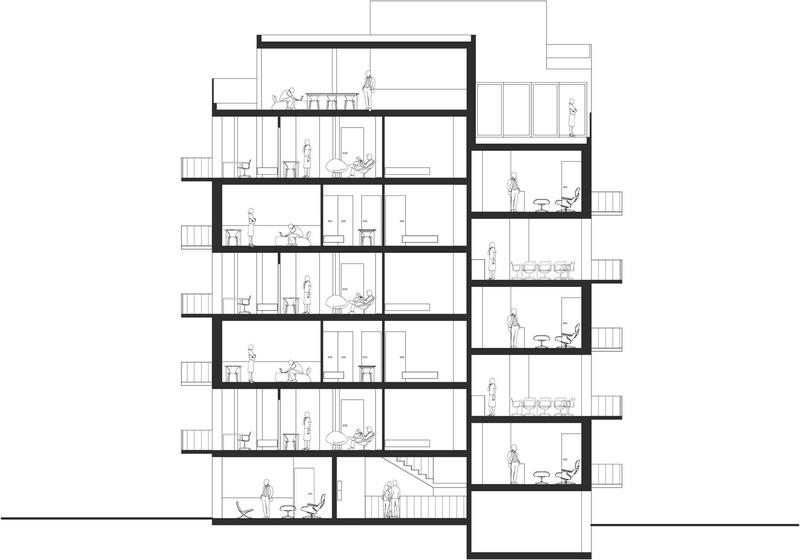 A distinction is made between two diferent building typologies: 2 x VI-storey, 4 x VII-storey, and also between 6-7 diferent apartment types including a garden apartment.The apartments in the building are organised around a central staircase. The load-bearing structure is in the building core. Apartments are accessed according to a split-level structure, i.e. two of the four apartments are situated on one level, while the other two are staggered by one foor. Each apartment has its own spacious balcony – or “private garden”. In the façade, the loggias and balconies alternate as elements that are both functional and give the buildings their exterior appearance.